13 May 2017, 4:09 pm Alaska Time, 30,000 ft over Alaska flying home. A final note: When I began to plan this expedition 18 months ago I did so with a mind set of wanting to accomplish something big in my fortieth year, the mountain and the summit were my goal and as a hope and always in my prayers was a wish that I would enjoy the process. In the end it turned out that my prayers were answered in a big way even if my preliminary goal was left out of reach. I would have never have imagined that walking uphill at a snail’s pace could be so enjoyable. As it turns out, I literally loved every step of the way. I loved being in the mountains and the isolation, the feeling of doing something so absolutely unique, I loved the breathtaking views of the Alaskan Range, I loved that what was supposed to be hard came (relatively) easy because I had trained so hard, I loved being with my brother Mohamed, I loved having my mind wonder (which is something that never happens in our connected world today) and I would think about Maria and the boys, also food and hot showers, I loved the occasions that it got hard and I got winded, I just really loved every second of it to a point that defied logic and expectation. To add to all of it I did it with my brother Mohamed who is a king amongst kings, best tent mate I ever had and I’m so grateful. I would have never have imagined that walking uphill at a snail’s pace could be so enjoyable. 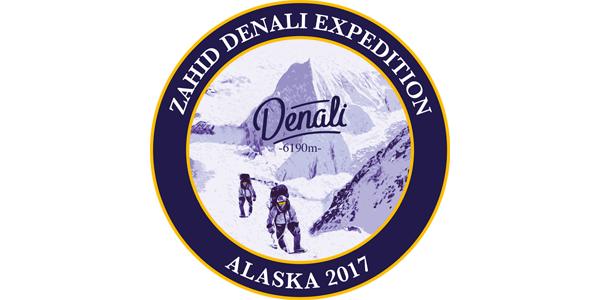 I chose Denali because it is supposed to be “harder” than Everest, because you have to carry all your own resources and because it is supposed to be the most beautiful of the seven summits. I can’t attest to how hard it is because I never made it to the top, but I can say without a doubt that it was one of the most if not the most beautiful places I have ever seen. Your writing is beautiful, Haytham. As I told before you did somdthing big with your brother Mohamed !!! And the world is full of mountains to climb , oceans to cross or deserts to travel …. the wofld is beautiful and full of challenges . Still a lot to do. Good job my friends. Great Will & Great Achievement. Great note Haytham 😉, glad to hear that you are both safe after this unforgettable experience. Wish you both a safe journey back home.